feel and look more confident as a presenter? establish your credibility and authority? present your value so others “get” it and see how you can help them? map out your ideas and connect with a clear, compelling message? Then you’ve landed in the right place! 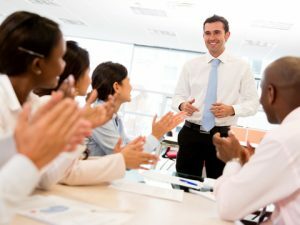 We designed Presentation and Presence Dynamics Coaching to help aspiring professionals just like you add the “dynamics” of structure, style and substance to their in-person and on-line presentations and presence. Prepare to make the most of opportunities to market your values, ideas and/or facility by using one of your best marketing assets —your ability to speak, share and shine! Think about it! Speaking gives you an opportunity for people to experience your value, show your expertise, get to know you better, hear your message first hand and be in your presence so they want “more”. Our PPD method enables you to break through speaking resistance, find the right words, captivate interest, dynamically connect and authentically shine! Conducted thousands of presentations throughout the United States to diverse industries and across many levels of personnel. 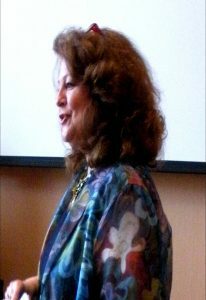 Presented on television, radio and in training films. 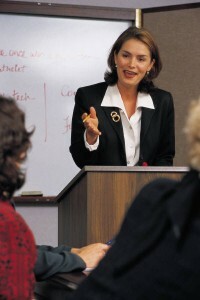 Facilitate seminars on presentation skills to audiences in the public and private sectors. WHY CHOOSE “VIRTUAL AND PRIVATE” COACHING? Convenient: No travel – No meetings — Work from where you are. Ensure that your body language, words and tone align with who you are and the message you want to send. Organize, create story, infuse with “dynamics” using PPD tools, templates and design sheets. Create a Signature Presentation to your target market. Capture your ideas and expertise and shape them in a way that delivers a clear, relevant and memorable message. Expert review of your speaking, your objectives and relevant information via Skype or digital submission by webcam, tablet, phone. 1st 60 minute phone coaching session packed with strategies and tools and suggestions to level up your presentation and presence. 2nd 60 minute “Implement and Polish” phone coaching session on your presentation after you’ve had an opportunity to apply recommendations for positive, awesome results. Contact us about this program by completing form at bottom of page. We provide an objective and expert review, ensure your points flow, be your “beta test” audience in private so you feel more comfortable and confident and give suggestions on what elements you can add to create a compelling delivery. All in all help you “tweak” it so you are presenting the right message in the right way for your audience. The number of coaching sessions is dependent on your objectives. Do you admire people who are at ease, confident and comfortable while speaking in front of others? Do you find yourself contemplating how to deliver content effectively and persuasively and how to adopt a style that engages an audience and keeps their attention? Have you thought, I know “my stuff” but wish I were more comfortable and confident in presenting myself, my ideas and my organiation? Strong, effective and dynamic presentation is mastering not only WHAT you say, but HOW you say it! Aspiring, emerging and seasoned professionals who are seeking to advance their personal leadership by polishing their presentation skills and professional presence. Shape your Vocal, Verbal and Visual presentation to create impact and influence with your audience and identify the habits that dissuade. Benefit from a Persuasive Outline Template to create and organize your thoughts so your audience “gets it” and an Intro– Conclusion Flow Template that ties together your beginning and ending in complete package that flows for your audience. Increase your confidence and poise and develop an authentic presence through exercises that will help you FEEL CONFIDENT from the inside-out. In this interactive workshop, participants will have opportunity to work with topics relevant to their profession; be video-taped, practice skills learned and gain valuable feedback to hone content, delivery and relevancy in a fun, comfortable, cohort environment where all will be gathered for common learning purpose. READY to create receptivity, relevancy, and communicate with a clear message that connects? Please fill out this contact form to let me know your interest and to arrange for a COMPLIMENTARY CONSULTATION on how we can help you achieve the results you seek. Launch the next level of speaker in you!